The sequencing of the human genome has been hailed as a scientific breakthrough in that it has opened the human genetic blueprint to investigations of all questions ranging from human origins to the understanding of health and complex diseases. As a result of this revolutionary sequencing of human genomes, our knowledge about how and why we differ from each other as well as how interactions between genes and culture have shaped our community is now more clearly understood. How can this knowledge be used to improve human health through disease prevention, diagnosis and personalized treatment approaches? What does the Genomics Revolution mean for you and your health? What is the potential for future generations? 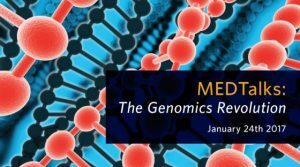 Join UBC’s Faculties of Medicine, Dentistry and Pharmaceutical Sciences, in partnership with alumni UBC, to hear from five top UBC researchers and learn about the work they are doing to accelerate the genomics revolution which is advancing their fields. Dr. Jehannine Austin – Genetic counseling: the key to unlocking the potential health and economic benefits of human genomics? Dr. Martin Dawes – It is not just the genetics that is difficult – the translation to everyday practice is really hard. Dr. Chris Overall – Can Proteomics Fill the Gap between Genomics and Phenotypes? The Human Proteome Project. In January 2016, Dr. Catalina Lopez-Correa joined Genome BC as Chief Scientific Officer and Vice President, Sectors. With over 18 years of international experience in both the academic and private sectors, Dr. Lopez-Correa brings her deep understanding of genomics to the Genome BC leadership team. Dr. Lopez-Correa holds an MD from UPB University in Colombia, a Masters in Genetics from Paris VII/Pasteur Institute and a PhD in Medical Biosciences-Genetics from KULeuven in Belgium. Most recently she was the Vice-President and CSO, Scientific Affairs, at Genome Quebec where she was instrumental in developing competitive teams for national and provincial research projects, and raising the profile of Genome Quebec on the global stage. Previous experience also includes a role as Senior Scientist with Eli Lilly and Company. During Dr. Lopez-Correa’s time at Eli Lilly, she was part of the Pharmacogenomics and Translational Medicine Group in charge of discovering and validating genetic/genomic biomarkers in different therapeutic areas (oncology, cardio-metabolic and neurosciences). She also helped develop the company’s tailored therapeutics and personalized medicine strategy. Dr. Lopez-Correa also held the position of Head of Cytogenomics laboratory at deCODE genetics where she developed screening strategies to detect genomic rearrangements. She has also worked for two different American biotech companies in the UK (Genomica and Informax). Since 2002, Dr. Lopez-Correa has served as evaluator for large multinational projects funded by the European Commission, the IMI (Innovative Medicines Initiatives) and the NIH and has been recognized by several awards nationally and internationally. As part of her commitment to international development, Dr. Lopez-Correa funded the not for profit organization ODNS (Organisation pour le Développement avec des Nouvelles Solidarités) in 2012 and has been involved in several initiatives aimed at demonstrating the impact of genomics in developing countries. Genetic counseling: the key to unlocking the potential health and economic benefits of human genomics? The conditions that are most common in humans (e.g. cancer, psychiatric illness, diabetes, heart disease) are complex – that is, they arise as a result of interactions between genetic and environmental influences. Lifestyle modifications (e.g. quitting smoking, exercise, nutrition) can reduce the risk for these conditions, but studies show that providing people with information about their genetic risk does not reliably provoke adoption of healthy behaviours that can reduce risk. This talk will focus on the role of genetic counseling in personalized prevention approaches to common complex disease by empowering people to act on genomic risk information to engage in risk reduction behaviours. BIO: Jehannine completed her BSc (Hons, Biochemistry) at Bath University, and her PhD in Neuropsychiatric Genetics at the University of Wales College of Medicine in the UK before completing training as a Genetic Counselor at UBC in 2003. She was first appointed as an Assistant Professor in the Department of Psychiatry in 2007, and in the Department of Medical Genetics in 2008, and was promoted to Associate Professor in 2012. 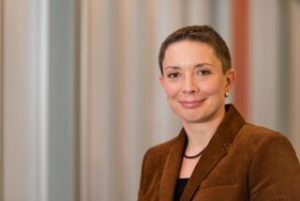 She holds/has held multiple external salary awards including a CIHR New Investigator Award, a Michael Smith Career Investigator Award, and a Tier 2 Canada Research Chair, and received CIHR’s 2007 Maud Menten New Investigator Award. She is co-author of the book “How to talk with families about genetics and psychiatric illness” (W.W Norton, 2011), Graduate Advisor to the UBC Genetic Counseling program, and a Board Certified Genetic Counselor. It is not just the genetics that is difficult – the translation to everyday practice is really hard. There is a journey of using genetic tests to avoid adverse reactions to drugs used commonly in Family Practice. More than half consultations in Family Practice involve complex decisions about medication, adding a genetic test makes things more complex. Dr Dawes and his team had to go back to the drawing board and rediscover how to help patients and professionals identify the safe effective drugs for the individual person. 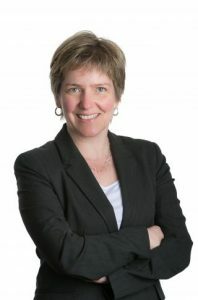 BIO: Dr. Dawes is the Head of the Department of Family Practice at the University of British Columbia (UBC), and Cofounder of the Personalized Medicine Institute. 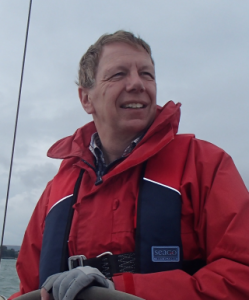 He started his clinical practice as a family physician in Oxford. Following the completion of his PhD in 1992, he helped develop a Master’s program in Evidence Based Health Care, which allows clinicians to engage in research. 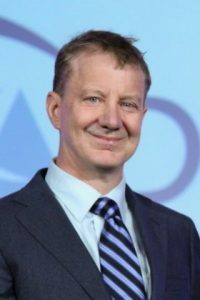 He has directed the UK Centre for Evidence-Based Medicine in Oxford and was the head of family practice at McGill University before coming to UBC in 2010. His research includes genomics in primary care and lifestyle interventions to prevent diabetes. Dr. Dawes is currently leading a new research project entitled “The Implementation of Pharmacogenomics in Primary Care in British Columbia”. This novel project is valued at over $720,000, and is being funded through Genome BC’s User Partnership Program, Rx&D’s Health Research Foundation and other partners. The project will also link in with TELUS Health, the largest electronic medical record (EMR) vendor in Canada. The use of whole genome sequencing technology to understand tumor biology can be used in the hopes of finding actionable targets for patients with cancer. Dr Lim will provide an overview about how the use of this information can lead to success and how we can learn from the failures. 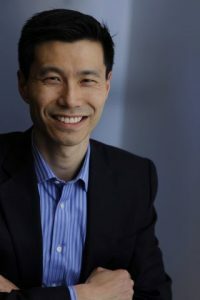 BIO: Lim is a Medical Oncologist at the BC Cancer Agency Vancouver Centre, specializing in Gastrointestinal Cancer. He is the Program Director of the Medical Oncology Training Program and is the Chair of the GI Tumor Group. Dr Lim is also an active member of the GI Outcomes Unit, and the Personalized Onco-genomics Program – a clinical research initiative that’s embedding genomic sequencing into the diagnostic and treatment planning for patients with incurable cancers. Prior to going to medical school, he was fortunate to do research at the BC Cancer Agency Research Centre under Dr. Marcel Bally, in the Department of Advanced Therapeutics. One of the great things that he witnessed was how research could be translated over to patient care seamlessly. Dr. Lim completed his training in Medical Oncology at the BC Cancer Agency and then did additional training in Gastrointestinal Malignancies at the Oregon Health Sciences University, before coming to the BC Cancer Agency in 2008. At its core, all of biology can be considered a combination of the forces of natural selection, organism fitness and the extraordinary results required to meet these two challenges. For the past two decades Dr. Nislow’s lab has sought to understand how genotype is revealed in phenotype; by using diverse models from yeast to man and every environment imaginable. This talk will describe the lessons we have learned from such models and how we are applying them to patients. BIO: Dr. Corey Nislow’s laboratory uses cutting edge tools to address this central question: how can we understand the biological commonalities in all of the life sciences; from embryonic development, to the spread of infectious diseases to better ways to treat cancer. Each of these disciplines, and in fact all of biology, can be explained in the context of competition, interaction and evolution. Therefore his lab studies the interface between genes and the environment using parallel genome-wide screens, high throughput cell-based assays and next generation sequencing of microbial and human populations. He and his scientific partner, Dr. Guri Giaever shift between model systems to understand how genes and drugs interact during normal and pathological states. Most recently, his lab is exploring how laboratory experiments can co-opt evolutionary processes to understand drug action. He enjoys teaching all aspects of biotechnology, genomics and drug discovery for undergraduate and graduate students. Corey completed a BA in developmental biology at New College and a PhD in cell and molecular biology at the University of Colorado. He was also an American Cancer Society postdoctoral fellow. He led discovery teams at two biotechnology companies (MJ Research and Cytokinetics Inc., in the San Francisco Bay Area) and at Stanford University. Prior to joining UBC, he was associate professor at the University of Toronto and director of the Donnelly Sequencing Centre. Can Proteomics Fill the Gap between Genomics and Phenotypes? The Human Proteome Project. How can only 20,061 human genes encode the complexity of humans when similar numbers of similar genes also encode worms and flys? Mapping and sequencing genes is just the start of this answer. Genes encode proteins and it is proteins that are responsible for forming the cells and tissues of humans. Further, proteins orchestrate the complexity of coordinated signaling between cells and organs that keep us healthy. Dr. Overall will discuss the huge diversity of protein forms, now known as “proteoforms”, and how they lead to the incredible complexity of human cells and tissues. It is through understanding proteoforms that disease mechanisms can be deciphered, new drug targets validated, and accurate diagnostic tests devised that will lead to new medical interventions to treat disease early. By reducing disease and its detrimental outcomes, proteomic biomarkers hold enormous promise to revolutionize diagnostics and personalized medicine ensuring sustainable health care costs. BIO: Proteases are nature’s biological molecular scissors. Being involved in the fate of every protein—from protein synthesis and maturation, to function changing adaptations in response to changing needs of tissues and cells, and finally in protein removal, proteases are essential to maintaining healthy cells and tissues. Yet, with the good comes the bad. Proteases can dramatically worsen disease and cause tissue destruction leading to disability, pain and death in some diseases like cancer. Thus, Dr. Overall has a long-standing fascination in proteases from his undergraduate days to now. Indeed, he is a Professor and Tier 1 Canada Research Chair in Protease Proteomics and Systems Biology and holds a seven-year $5.55M CIHR Foundation Grant to investigate proteases. Dr. Overall completed his undergraduate BDS, Honors Science and Masters degrees at the University of Adelaide, South Australia; his Ph.D. in Biochemistry at the University of Toronto; and was a MRC Centennial Fellow in his post-doctoral work with Dr. Michael Smith, UBC, learning protein engineering. On Sabbaticals in 1997-1998 he was a Visiting Senior Scientist at British Biotech Pharmaceuticals, Oxford, UK; and again in 2004/2008 he was a Visiting Senior Scientist at the Expert Protease Platform, Novartis Pharmaceuticals, Basel, Switzerland; and in 2010-2012 was an External Senior Fellow and is now an Honorary Professor, at the Freiburg Institute for Advanced Studies, Albert-Ludwigs Universität Freiburg, Germany. With over 15,500 citations for his 237 papers he has an h index of 67 and this has been recognized by numerous awards including the 2002 CIHR Scientist of the Year, the UBC Killam Senior Researcher Award (Science) 2005, and several life time achievement awards. He was the Chair of the 2003 Matrix Metalloproteinase Gordon Research Conference and the 2010 Protease Gordon Research Conference. More recently his interests are evolving to deciphering immune deficiencies and chronic inflammatory diseases by the use of proteomics and degradomics, a term he coined. 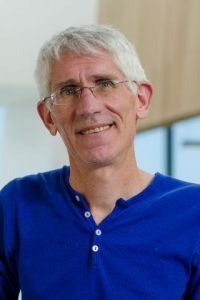 He was elected as Co-Chair of the Human Proteome Organization (HUPO) Chromosome–Centric Human Proteome Project (C-HPP) in 2014 and was recently elected in 2016 to the Executive Committee of HUPO. Click here to register for this event online. Click here for the event details. Questions?  Please contact Sarah Irwin, Alumni Engagement Manager, UBC Medicine at sarah.irwin@ubc.ca or 604-875-4111 x67741.